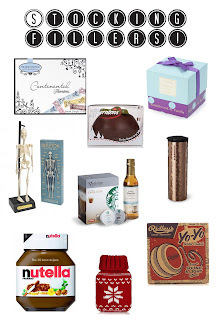 For me stocking fillers are all about having unique, creative and fun gift ideas that no one would expect to receive. They do not have to expensive or fancy, it is always the thought that counts and that goes for any present not just stocking fillers. As I said before, stocking fillers do not have to be anything special, they are usually just small, enjoyable and imaginative ideas that fill up the classic Christmas stocking. I have found some personal favourite that I will be possibly purchasing for my fellow family members. Chocolate is always a must for anyone or you can easily substitute them for jelly lollies and sweets, which ever suits someone’s taste. For girls a candle, cookbook (especially this Nutella one I found – I know my brother will be indulging into this one!)! ), a mini water bottle best suited for the hands or even a drink set or tumbler from Starbucks that is always ready for the ‘on the go moments’ is perfect or adorable. 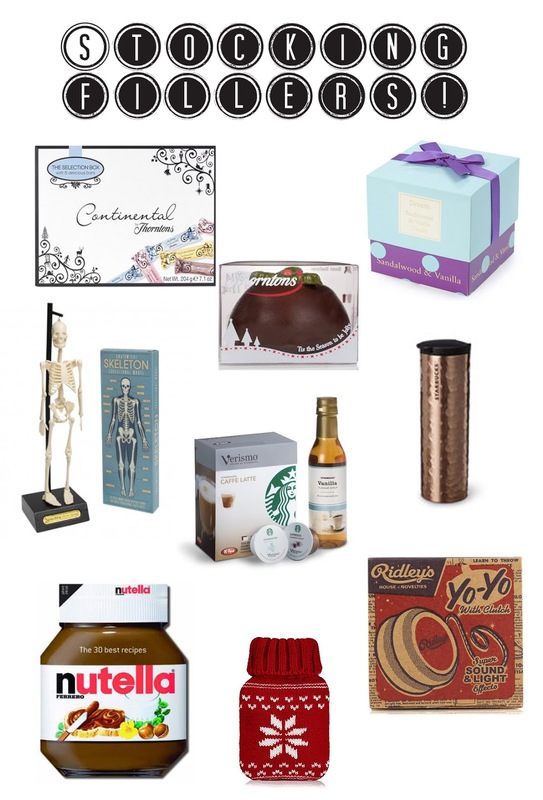 However for those boys, who clearly like toys would draw their attention towards yoyo’s or skeletons (which can be quite educational actually, haha) but there is seriously no limit when it comes to stocking fillers and these were just a few ideas that intrigued me. So we have sadly come to the end of the Christmas gift guide series and I hope that you have enjoyed this and expanded your ideas on possible gifts. It obviously comes down to the person’s personality and style that helps choose the present. I am sure next years Christmas series will be packed with fun, festive and enjoyable posts for everyone that will include gift guides, recipes, DIY’s and more, because I will defiantly have a lot more time to prepare and get a head start posting them earlier. Anyway I wish you all the very best holiday season and enjoy every special moment with your family and friends where ever you may be around the world!